Home / Futon Mattress Choice / Pocket FutoFlex Futon Mattress for bed use. 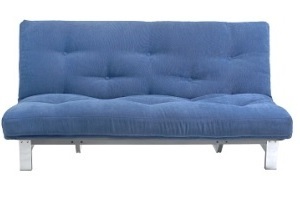 A nicely supportive futon mattress with a medium feel, great option if you’re new to futons or are looking for a little more ‘give’ in your mattress. 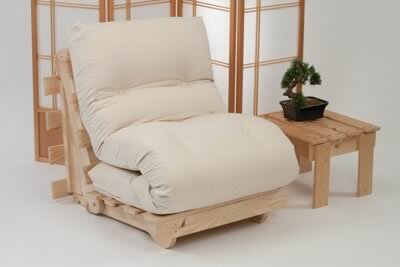 The Pocket FutoFlex Futon Mattress is always a popular choice at Futon World. 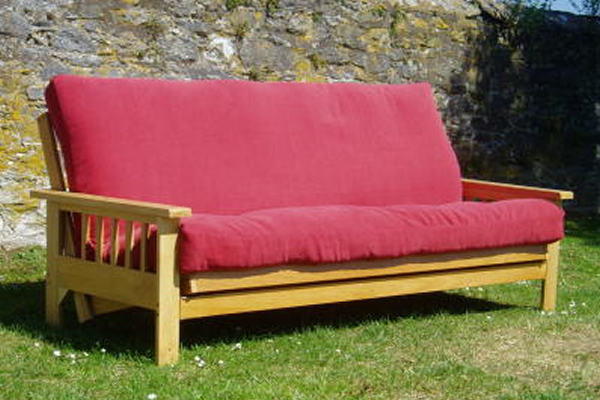 Ideal on flat slatted bed frames, futon frames, tatami mats or sprung slatted bed frames. The Pocket FutoFlex is another of the best non-folding futons for permanent use as a bed available, having had many customers purchase and use them over the years, including ourselves! Underneath the 100% cotton drill covering is a thick layer of pure lambswool, top and bottom, with 2 layers of woolfelt either side of a pocket spring 'cage' of 2 inch springs. The Pocket FutoFlex futon mattress is available in a choice of Natural or colored tough Cotton Drill fabrics, with the option to purchase an additional loose cover if required. The Pocket FutoFlex offers the supportive nature of a traditional cotton and woolfelt futon mattress combined with the softer nature of the pocket spring unit, giving a softer supportive feel than many futon mattresses. Suitable as an everyday futon bed mattress. The Pocket FutoFlex can also be used on three seater type futon sofa beds in the 'bi-fold' position, call us if you are unsure.